If the budgets of some of the food and beverage industry’s largest companies are any indication, capital spending budgets this year are 10.4 percent higher than what was actually spent last year. Based on 10K reports and other public disclosures, 38 publicly traded food manufacturers plan to spend $16.5 billion on capital projects in 2017. A glass-half-empty take would note that those budgets are actually 4.8 percent lower than 2016 budgets, and actual spending last year was nearly 14 percent below what the same companies budgeted for the year. Nonetheless, 2016 actual spending was a healthy 3.9 percent of company revenues for the year on average. Those reports express the spending in U.S. dollars. For a growing number of U.S. food factories, corporate accountants will denominate spending in euros, yen and other currencies. Available cash from operations typically funds capital projects, sometimes augmented by credit lines for big-ticket undertakings or when operating losses or other conditions threaten to choke off reinvestment. 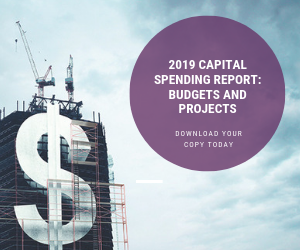 Capacity expansions, cost-savings initiatives and investments in equipment or software are typical capital expenditures, and building a new production facility can cause capex spending to balloon. As companies scramble to meet burgeoning demand for their products or to replace older plants that simply do not measure up to today’s food safety standards, there is more activity in major facility expansions and greenfield projects. And increasingly, the owners of those new or expanded plants are based outside of North America. A new record in foreign direct investment in the U.S. was set in 2016, reaching an estimated $396 billion, 12 percent higher than the already-robust mark set in 2015, according to the Organization for International Investment. Manufacturing is the largest recipient of foreign cash, accounting for more than a third of foreign direct investment, and food and beverage is the second favorite manufacturing sector for those investments. From 2009-2014, foreigners poured more than $122 billion into U.S. food and beverage capex, and a review of current projects indicates that figure is rapidly rising. Morinaga & Co. is part of the new wave. The Tokyo-based confectioner established a sales and distribution office in Irvine, Calif., to gauge interest in its line before opening Morinaga America Foods Inc. in Mebane, N.C., in 2015. It was Morinaga’s first non-Asian production facility, though something of a homecoming: Founder Taichiro Morinaga mastered candy-making in America in the 19th Century, before returning home and building a confections giant. Proximity to major U.S. markets drove the decision to invest $48 million on a 120,000-sq.-ft. facility in eastern North Carolina. Two hundred miles north would have provided even better logistics, but severe weather concerns ruled out Ohio or Pennsylvania. “We wanted to avoid a snowstorm that could close the plant,” Fukunaga says of the location decision. Chinese companies are beginning to assert themselves in the North American manufacturing space. Feihe International Inc. is expected to break ground in April on an infant formula plant that will come on line in late 2019 north of the border in Kingston, Ontario. The company plans to export 80 percent of throughput back to China. In North America, the U.S. dollar’s strength vs. the Canadian dollar makes manufacturing particularly attractive north of the border, as does the free-trade policy of Prime Minister Justin Trudeau. “Trudeau is one of the last men standing as a globalist,” points out John Boyd Jr., principal of the Body Co., a Princeton, N.J., site selection consultancy. “Eastern Ontario is exceptional for two reasons: the Saint Lawrence Seaway and the interstate connections” to the biggest U.S. metropolitan markets. For foreign food companies, establishing U.S. manufacturing capacity could serve as a hedge against trade restrictions. If the only way to tap into the world’s largest economy is to make your products there, building a U.S. plant secures future access. Morinaga’s North Carolina facility is situated between two of the three highest volume seaports on the East Coast: Savannah, Ga., and Suffolk, Va. The latter was the lure for Peet’s Coffee & Tea Inc., a fast-growing San Francisco firm that has broken ground on a $58.8 million roasting facility in Suffolk County. Peet’s cites the port’s proximity for raw-material receiving. Raising the Bayonne (N.J.) Bridge 64 feet to accommodate larger cargo ships will increase the importance of the Port of New York and New Jersey, an improvement many food companies are moving to capitalize on. Just as poultry exports are stimulating poultry exports through Savannah, New York’s harbor will help nurture food exports from the Northeast. Arizona Beverages Co. is among the processors who stand to benefit. Founded in Brooklyn but based in Maplewood, N.J., since 1992, Arizona is in the midst of a capacity buildup that will more than double manufacturing and distribution space under roof to 1.2 million sq. ft.
A network of more than 40 copackers helps Arizona meet demand for the 500 iced tea-based SKUs it sells, but Maplewood production plays a critical role in developing export markets, according to John Posillico, chief technology officer. Bottled beverages bound for Latin America and other locations are exported through the port until sales volume justifies local production. Maplewood also is the innovation incubator for new drinks and packaging. Pennsylvania’s Lehigh Valley is only 70 miles west of the port, notes Don Cunningham, president and CEO of the Lehigh Valley Economic Development Partnership, close enough to draw interest from both exporters and foreign-based companies interested in developing U.S. manufacturing capacity. “We’ve definitely seen a spike in foreign investment,” reports Cunningham, citing the arrival of Norac baking from France and Canada-based SunOpta’s recent expansion. Most of Goya Foods’ raw materials and packaged products are imported through New York harbor, making the metro area a natural home base. That didn’t stop the state of New Jersey from bundling a $40 million incentive package to persuade Goya to build a new headquarters in Newark, N.J.
Money talks, and some companies walk if state and local governments don’t meet their demands when it comes to siting decisions. Case in point: The state of New York rejected two bids by Niagara Bottling LLC for $10.8 million in tax breaks to build a water-bottling plant in Ulster, N.Y. So Niagara shopped the project 400 miles south to Chesterfield, Va., where the Ontario, Calif., private-label manufacturer is building a $120 million facility. And while Morinaga’s Fukunaga insists logistics was the primary factor in site selection, he concedes that a lack of financial incentives played a role in taking a pass on a Canadian location. “At a minimum, financial incentives are a tie breaker,” allows Gary Thompson, COO of Regional Growth Partners in Toledo, Ohio, although privately held food companies often are more interested in infrastructure improvements than direct payments. Unlike automotive, where “it’s a full-contact sport when it comes to incentives, food companies are looking for a fair deal,” he adds. “Their family name is associated with the product, not a distant corporation’s." Some states and regions have bigger financial toolkits than others, but that doesn’t prevent them from enticing food companies with other assistance. Iowa legislators are in the process of rolling back Prohibition-era laws to land projects like Templeton Rye Spirits, which will invest $26.1 million to build a distillery and visitor center in Carroll County. More liberal alcohol regulations also will help craft brewers and boutique distilleries in the state, points out Debi Durham, director of the Iowa Economic Development Authority. Training assistance is high on many manufacturers’ wish lists. The opportunity to help shape the mechatronics curriculum at a local community college influenced OFD Foods LLC’s decision to build a plant in the Rochester, N.Y., area, according to John Damon, vice president-manufacturing & engineering. Damon was part of a new ownership group that took over the firm, formerly known as Oregon Freeze Dry, in 2012. Market indifference to products like freeze-dried coffee dampened demand for the energy-intense process, and OFD had closed two of its three plants by the time the company was sold. Today, the Albany, Ore., facility is running out of capacity, and OFD has set its sights on doubling volume in the next five years. Infrastructure improvements and construction-ready sites are other manufacturing enticements. New York has plowed $3.4 billion into the Finger Lakes region, which includes Buffalo, in recent years. A zero-waste water treatment system in Buffalo was a key attraction for Love Beats, a British processor that partnered with LiDestri Foods to establish manufacturing capacity in an industrial park created on the former Eastman Kodak campus. A copacker and private-label manufacturer, LiDestri took occupancy in 7,000 sq. ft. in the park in 2012; the firm now occupies 700,000 sq. ft., according to Matt Hurlbutt, executive vice president of Greater Rochester Enterprise, the local development authority. Nonetheless, economic development specialists recognize that new food plants create fewer jobs than the factories they replace. Another job-growth challenge is finding ways to nurture smaller manufacturers and entrepreneurs. “Today’s start up could be tomorrow’s Facebook,” Chung says. Shifting consumption patterns nurture early-stage processors and make life difficult for legacy plants. The MillerCoors brewery in Eden, N.C., ended 39 years of operation in September. With craft beers continuing to grow in popularity, Eden represented redundant capacity. In 2002, the brewery employed 739; when layoffs began in June, staffing was down to 520. On the flip side, 826 craft breweries opened in 2016, according to the Brewers Association, bringing the total to 5,234. Most are too small to attract much if any funding assistance, but collectively they employ 128,768 full- and part-time employees. Greenhouses that cater to urban demand for fresh fruits and vegetables are another construction growth category. Three operations have sprung up in northwest Ohio in recent years, says Thompson, and at least two more companies are considering sites. “Fresh fruits and vegetables is a trend that’s going to last for awhile,” Thompson believes. The Canadian government strictly limits direct aid, though provincial authorities have latitude to go beyond shovel-ready site development. Construction of shell buildings with easy utility hook-ups helps entice manufacturers. Nicholas Reichenbach, CEO of Flow Water Inc., is taking advantage of one such shell in Aurora, Ontario, to bottle his mineral spring water, which will be trucked in from a remote area. A dearth of financial incentives hasn’t discouraged the Boyd Co. from championing Ontario and Quebec to its food and beverage clients. Processors are focusing more attention on operating expenses and other lifecycle costs, Boyd maintains, and national health care is a real expense-control advantage for Canada. Health insurance has a huge impact on fringe benefits: one Boyd client could lower those costs to 20 percent of payroll in Canada compared to 38 percent in the U.S. The Oscar Mayer plant in Davenport, Iowa, is a prominent example. Originally built in 1915, the facility came under the scrutiny of the Kraft Heinz Co.’s integration program. That resulted in a decision to shutter the factory and replace it with a modern food-production plant, also to be built in Davenport. The $203 million project is expected to come on line in 2018. Massive amounts of bologna are produced daily in Davenport. Mass-market products aren’t going away, but sales growth is in foods that play to niches like gluten-free, locally grown and natural. Three early-stage brand owners that cater to those tastes recently formed a consortium called Tribe 9 Foods, which is in the process of scouting locations for a contract manufacturing arm. Ona Treats is one of the two Tribe 9 partners with manufacturing assets. Ona operates a 10,000-sq.-ft. plant in Loveland, Colo., producing flour-free cookies and snacks. It’s small-scale production -- rack ovens and a 140-quart mixer — that’s slated for replacement by a 50,000 sq. ft. factory that can schedule other brand owners’ products as well as its own. “Manufacturing is a headache, but you’re going to be in a cash burn if you don’t have that capability,” observes Chris Feulle, Ona’s founder and the executive who will manage the contract manufacturing operation. “Manufacturing is a real pain point for other companies,” seconds Brian Durst, Tribe 9’s CEO. Consolidated broker services, product development assistance and other assistance to early-stage brand owners who “need help taking it to the next level” are a big part of Tribe 9 services. But the capital investment in production capacity will give the consortium a strategic advantage, he believes. Manufacturing modernization and growing global demand for U.S. food products are driving an influx of investment that goes beyond capital expenditure budgets. The dark cloud on the horizon is the outlook for free trade. Beef and pork producers were anticipating a $1.63 billion bump in exports of their products with adoption of the Trans Pacific Partnership. By nixing that trade deal, the Trump administration may also have jeopardized current exports. U.S. beef and pork companies shipped $2.9 billion worth of protein to Japan alone last year. Trade restrictions and closed markets might adversely affect domestic food companies in another way: more competition from foreign companies with U.S. plants. That would force U.S.-based food manufacturers to defend share in a mature domestic food market. That scenario concerns more companies than just TreeHouse. Regardless of what the future holds, however, capital infusion now will better position food processors for tomorrow’s markets.